Our 7-9 year-old campers participate in a variety of activities designed to increase self-confidence through development and growth. This program helps campers work on their individual skills in an atmosphere of fun, adventure, and camaraderie. Twice a day, campers enjoy our state of the art, heated pools and learn the fundamentals of swimming with our Red Cross Certified instructors. Every day, each camper will have the opportunity to laugh, play, have fun and be a kid during our many special activities including; arts and crafts, ceramics, theatre, music, dance, sports, nature, and legos/robotics. Our supercampers also get to choose among a variety of daily electives that changes every two weeks, as well as choose to participate in fun field trips off campus 2-3 times a summer! 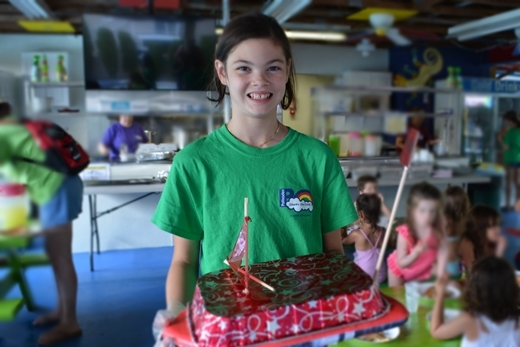 Electives are offered to our 5 to 8 year old campers to provide an opportunity to personalize their camp days. Each camper will choose 2 electives per day for each session. A session is typically a 2 week period, unless otherwise stated. Electives include but are not limited to; Mini Chefs, Jewelry Making, Photography, Lego/Robotics, Sport Clinics, Yoga/Zumba/Dance Fusion, Discovery Labs, Art Studio, Broadway, Cheerleading, Space Exploration and more!! Endurance testing will be performed and perfected by our “Treaders,” for long distance underwater swimming. To assure endurance is built, three techniques will be mastered first: sculling, treading and breathing. Swimmers will be using aqua gear to strengthen upper body/arms and to strengthen their kicking and underwater gliding.